Prepare to experience an explosion of flavor with these 20 Summer Grilling Ideas! Go fire up the grill! These 20 Summer Grilling Ideas are super easy, and will turn you into a backyard barbecue star! This savory Grilled Mexican Style Corn is crazy delicious! It’s just like the corn you can get from the authentic street vendors in Mexico. Seasoned to perfection and exploding with flavor! Summertime grilling is always more fun when shrimp is involved! 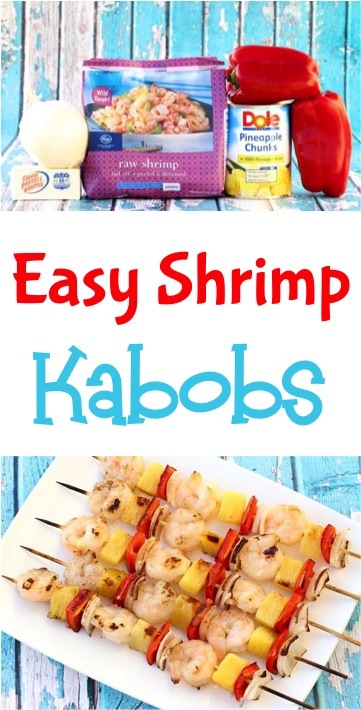 These delicious Shrimp Kabobs are bursting with irresistible flavors, like sweet pineapple, fresh peppers, and delicious onions. So yummy, and the ultimate Summer dinner! Um… YUM! This Easy Ranch Burger Recipe is about ready to smack your tastebuds all around with delicious goodness. It’s off the charts! This Easy Ranch Burger Recipe could be your new family favorite! With just 6 easy ingredients, this Lemonade Chicken Marinade is a keeper… and definitely a family favorite. The blend of savory garlic and lemonade tang make the flavors pop! Winner, winner chicken dinner! Are you looking for that perfect dessert you can make on your upcoming camping trip? This Campfire Banana Boats Recipe is crazy delicious and the ultimate summer dessert! Just 4 easy ingredients and you’ve got such a yummy treat. 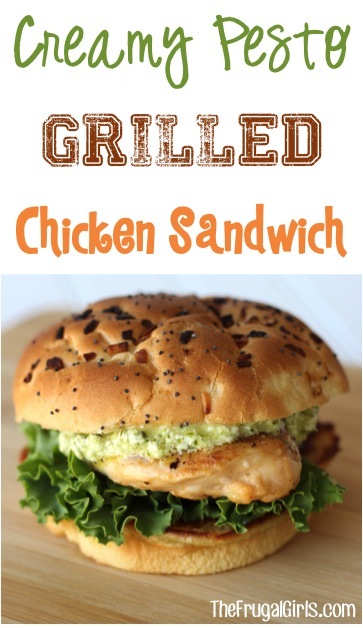 This Creamy Pesto Grilled Chicken Sandwich will take your grilled chicken to a whole new level! Grab some basil and let’s get started! Love Salmon?? Take your Salmon to a whole new level of flavor excitement with this easy Grilled Garlic Salmon Recipe! The special Garlic Parmesan sauce is the BEST! Are you ready for some ridiculously delicious Salmon? Craving a little Asian flair on your dinner tonight? 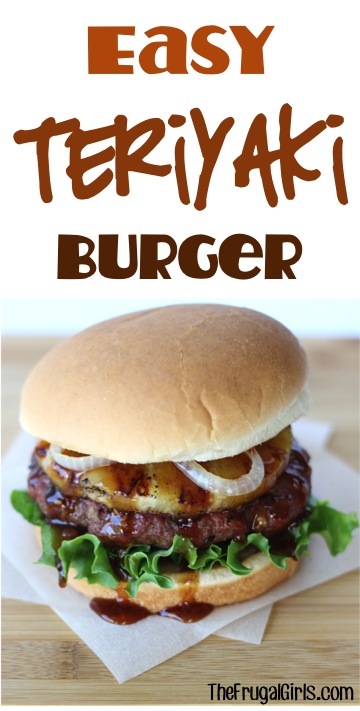 This Teriyaki infused Easy Teriyaki Burger Recipe is bursting with flavor, and perfect for grilling season! Give your family a little bit of sweet and a little bit of zesty when you make this super yummy Honey Mustard Grilled Chicken Sandwich Recipe! I love how simple this is to make! It’s officially grilling season and that means Burger time!! 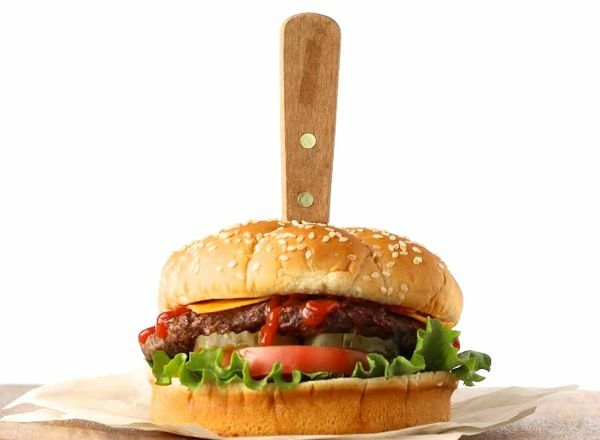 You’re going to LOVE this ultimate flavor-packed Easy Steakhouse Burger Recipe… and your neighbors are going to experience burger barbecue envy from across the fence! Make your own delicious Easy Grilled Teriyaki Chicken with this simple homemade recipe! It’s totally yummy, and Totally Teriyaki! Want to know the trick to grilling Cod? It’s the Aluminum Foil… and the fresh squeezed Lemon Juice… oh and the Butter!! This delightfully delicious Grilled Cod Recipe is more proof that everything is better with butter! Turn your ordinary burger into something incredible when you make this yummy Bacon Guacamole Burger Recipe! Fire up the Grill, grab some avocado and bacon, and get ready for some serious deliciousness! Bring the tropics back to your dinner table in a hurry with this super yummy Teriyaki Grilled Chicken Sandwich Recipe! Finally, a Teriyaki Chicken Sandwich Recipe to make ourselves drool about!! Could you use a little flavor excitement in your menu this week? This BBQ Burger Recipe may just be the perfect solution! Hands down this is the World’s Best Homemade Burger Recipe! It’s simple and infused with so much flavor. This Bacon Avocado Ranch Grilled Chicken Sandwich makes me drool every single time I think about it! Give your ordinary grilled chicken a flavor-packed makeover with this super yummy Bacon Avocado Ranch Grilled Chicken Sandwich Recipe! Love Salmon?? You’ll love it even more when you make it Teriyaki style! Making daydream-worthy salmon has never been simpler than with this easy Grilled Teriyaki Salmon Recipe! These are great ideas. We grill every Saturday during the summer and now that we’re towards the end, we need some new inspiration. Lots of great ideas! I needed some new recipes for the rest of the summer!